Kshibboleth Consultants is a New Delhi (India) based reliable Corporate travel Management , who are involved in offering excellent travel solutions. We offer services like airline ticketing, railway ticketing, passport & visa, travel insurance, hotel booking and Volvo bus ticketing. We also have experienced event organizers who organize private and corporate events. 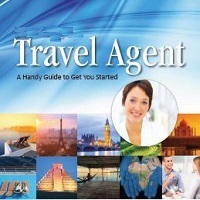 As a trusted name in the travel industry, we make available exciting deals for all our services. Moreover, we offer our customer care services 24X7. We make sure that our services will not burn a hole in your pocket. Get expertise consultation sitting at your home/office. Our professionals will visit your location at your ease to guide you through the virtual tour of different packages. We help you in deciding the best suitable location as per your needs and as per your budget.